Visibility/Location: They did a great job in this category. This event was easy to find with GPS. Along the road, there were several signs, leading you to the event. Near the entrance, there was a "Fear City" van that was brightly illuminated, an emergency flare burning along the roadside, as well as a police car with flashing lights. You can't get any more visible than that. After turning into the parking lot, there were numerous parking attendants with flashlights, to direct traffic. Wait Entertainment: Wait entertainment was a mixed bag. In the queue line area, there were numerous entertainers milling about, interacting with the customers. They were somewhat amusing; however, it seemed like the line actors had a limited repertoire. On a couple of occasions, I witnessed actors telling the same two or three jokes to each customer in line, as they advanced through the queue area. After hearing the same thing over and over, it got rather mundane. Also, a number of "jokes" were personal jabs, directed at patrons. Just a side note... It you want repeat customers, is probably not a good idea to insult people, after they have just paid $35 to get in. Crowd Control: Fear City: Crowd control was pretty good inside Fear City. There was only a time or two when we ran into other groups. Hades: There was definite room for improvement in this category for Hades. From the moment I entered the attraction, there was a conga line. The vast majority of this event consisted of dark hallways, so customers were back-to-back, shuffling along slowly the whole way through. I have mixed feelings about Fear City. Many of the scenes were highly detailed and that is no surprise, since the people who run the attraction are professional set designers. Throughout the event, there were some nice haunted house elements; however, there were several areas that were rather lackluster and others that seemed to be completely pointless. Their attraction has improved since last year, but there is still much work to be done, if they want to compete with top haunted houses in the Chicagoland area. Last season, there were very few traditional haunted house elements at Fear city. This year, it was really nice to hear reoccurring references to a zombie apocalypse, in various scenes. Actors said lines like "Are you infected?" or "Have you been infected?". The CTA area was set up nicely. The walls were dingy, and dimly flashing fluorescent lights enhanced the atmosphere. Patrons entered the train car, which had several body bags hanging inside. The car shook and flashing lights simulated the movement of a train. Another scene was the Midtown Medical Center. In the waiting room, a patient approached my group, then threw up into a bed pan and shook her wet hands in our faces. After exiting the waiting room, there was a zigzag path of hospital beds, with bloody corpses on them. The two-story meat processing plant was also visually appealing. Several sides of beef were hanging on hooks, suspended 15 feet above the scene. Patrons had to weave their way through intestine-covered tables, while a butcher slammed a cleaver on a table, giving us a menacing glare as we walked by. The 3-D sideshow was also done well. It featured glowing artwork on the walls, floating glowing balls, and carnival music playing in the background. As we walked through, a couple of clown characters stalked us to the exit. The next area was a red/white vertical stripe clown maze, with flashing lights and a couple of actors hiding in the corners. That was fun to go through. While many of the scenes were detailed and pretty, there seemed to be an overall lack of scare factor throughout the entire attraction. 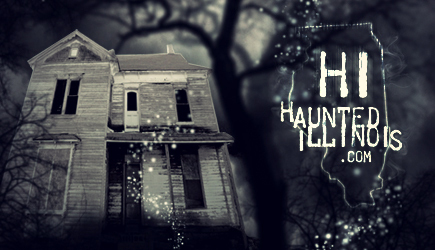 Don't get me wrong, they are phenomenal set designers, but there is more to haunted houses than just eye-catching sets. This is the second year for Fear City and their attraction has improved since last year but, I still think they just don't "get it". Of course, the "it" is knowing what a haunted house is supposed to be like. There were several areas in Fear City that seemed to be confusing and pointless. It was almost like the set designers said "let's faithfully reproduce this list of locales, down to the most minute detail", without any forethought of incorporating scares or surprises of any kind. There were many missed scare opportunities, starting with the opening scene, the Peep Show. After walking under an bright Peep Show marquee, patrons moved into a small room with open boxes of condoms scattered across the floor and a magazine rack stretching across the back wall. A shirtless actor was rubbing his chest and encouraging customers to look through a peep hole in the wall. No one in my group really wanted to do it and the actor wasn't letting anyone advance, so in an effort to help move things along, I looked through the peep hole. After that, the actor let us all move on, to the next area. There was no scare or surprise. In fact, there really was no point to it. Another area appeared to be an antique shop, which was jam-packed with antique furniture and countless knick-knacks on the walls. As my group walked by, an elderly woman in an old dress said "You look like some tasty morsels". I was really disappointed when nothing else happened. There was also a hoarder scene. An overweight man in a dirty T-shirt was sitting in a chair, watching QVC on a small television. On the coffee table, couch and on the floor, there were stacks of assorted items that he had apparently purchased. As we walked in, he stated "don't judge me", in an irritated tone. Again, I was expecting more to happen, but it didn't. Another one of the other areas we walked through was the Fear City Airlines terminal. The terminal's waiting area had several rows of empty seats facing a reception desk. A flight attendant at the desk guided my group to the plane's entrance. Inside the "plane", there were numerous oxygen masks hanging from the ceiling and a nervous man was standing in the far corner, clutching a fake bomb. I walked through the scene slowly, waiting for him to do something, but he never did. In fact, nothing happened; we just strolled out of the scene unscathed, into the next area. While writing this review, it struck me what was wrong with many of these rooms. It wasn't just that there was no scare attempt, although that was very disappointing. Part of the problem was the fact that a number of the scenes depicted things that you might see in everyday life in Chicago: a transient in an alley, an airplane, a hoarder sitting on the couch, an antique shop, etc. None of these things, in and of themselves, are particularly frightening and the way that Fear City presented them didn't help matters, either. Another thing that contributed to the low scare factor was actor performance. While walking through the scenes, it seemed like no one was trying to scare you. The actors were so wrapped up in re-creating their own specific character, that they forgot that there was an audience walking by who wanted to be scared. Or perhaps scaring customers wasn't their goal, in the first place. I really don't know. On a number of occasions, I heard actors saying things like "Isn't she frightening?" or "Isn't this scary?". My answer would have to be a resounding "No". What was the point of them asking? Were they trying to talk customers into being scared? Sorry, guys. If you have to ask, it isn't scary. Hades was definitely different than Fear City. It was much smaller than Fear City and most of the areas in Hades were very dark. Patrons had to weave their way through zigzag paths of darkness, with an occasional scene here and there. In some areas, burlap cloth was attached to the walls and hanging low, so customers had to duck down underneath. In many parts of the attraction, there were strange sound affects playing in the background. In one alcove, there was a giant Mardi Gras Dragon puppet with glowing eyes that chomped at customers, as they walked by. In another area, an actress laid motionless in the jaws of a 10-foot-tall monster head that resembled a giant Predator creature. One of the main scenes featured odd creatures on stilts, who were doing a tribal dance on a circular stage. Their performance was pretty entertaining, but some of what they were doing was unsafe. The actors were thrusting Styrofoam-tipped spears at patrons' heads, as they walked by. In fact, one of the spears came within inches of hitting my face. That wasn't my only safety concern, either. Throughout the attraction, there were a lot of actors hiding in dark corners. Several of the them were thrusting their hands upward and outward, toward the customers walking by. On one occasion, I came around a corner and an actor came within a inches of hitting me in the face. In another dark corridor, a short actress thrust her hands upward in a similar motion and she ended up hitting me in the face, with her fingers going up my nose. It's one thing to get in someone's space and try and scare them, but it's yet another if patrons' safety is at risk. Overall, Hades was interesting, but not as enjoyable as the Fear City attraction. If it seems like I'm being more critical of this attraction than some others that have I reviewed, you are correct. I think when a haunted attraction tries to charge $35 for admission (especially when they were asking $25 last year, which was completely excessive to begin with), they should be held to a higher standard and be subjected to much more scrutiny. I think they have to prove themselves by providing a substantial amount of entertainment value, in order to justify such a high admission price. In my personal opinion, Fear City falls short of the mark. The show, while it was somewhat entertaining, just isn't worth the over-inflated $35 ticket price.